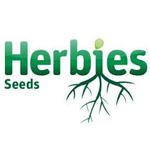 Welcome to August and the new and improved Herbies Cannabis Seeds website, recently updated on the 1st Aug 2014, home to the world’s largest selection of cannabis seeds, we hope you like it. At Herbies cannabis seeds we pride ourselves on bringing you the best quality seeds this August from the world’s most respected cannabis seeds producers – all at the lowest on-line prices! Celebrating over 20 year’s this August of trading cannabis seeds to the world, our dedicated sales team have developed a broad and detailed knowledge of the cannabis seeds industry and are here to help you. Why not call today 1st Aug 2014? on 01553 767285. Cannabis seed orders can also be placed over the phone. At Herbies cannabis seeds we consider customer satisfaction and security an absolute priority. To ensure maximum on-line safety, all orders placed today 1st Aug 2014 will pass through a secure server utilising 256 bit encryption. The Cannapot Hempshop is a seed bank that offers thousands of different types of cannabis seeds. 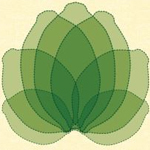 There is also a unique auctionarea for grower who want to sell their own created strains and for people who are searching for bargains and rare seeds. Delivery worldwide accepting cash, Bitcoins, WesternUnion, banktransfere and creditcards (Mastercard / Visa) as payment options.